Shine The Light is an all girls soccer tournament being hosted by the Whitecaps London soccer club. 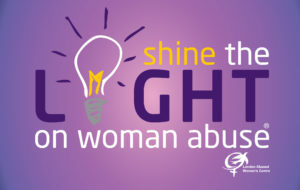 Proceeds from this event will go to Shine The Light on abused women. We are in need of volunteers for match days on Saturday June 22 and Sunday June 23. I realize that everyone is busy but even if you could spare a morning or afternoon to act as a field Marshall, runner, help with equipment etc that would be appreciated. Also, our goal is to give each player a grab bag so spread the word to local businesses please. Please visit the website below for more information and the tournament and reach out if you can help.